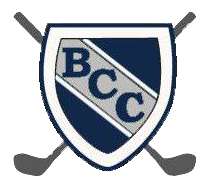 The golf course at Belvedere has certainly evolved since its conception in the 1970’s. 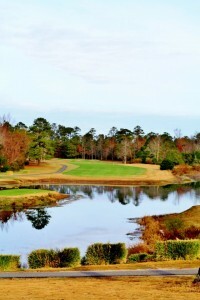 Belvedere now features a rare combination of six par threes, seven par fours, and five par fives to achieve a par of 71. 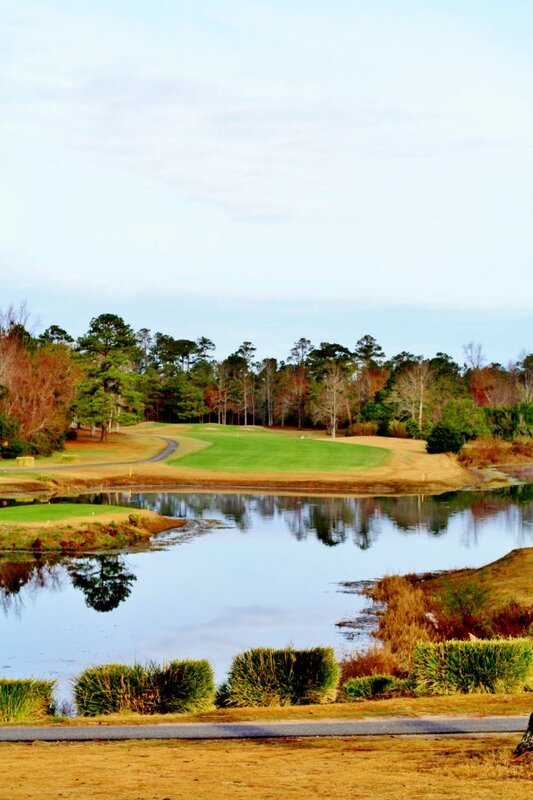 Located in coastal Hampstead, NC, the front nine takes you out toward the Intracoastal Waterway and back toward the Clubhouse; the back nine ventures you inland and then back toward the Clubhouse – forming a giant figure 8 without any parallel fairways. This design offers a sure test in the normally breezy conditions. You will experience the winds coming from every direction during your round. Six par threes; all of which demand excellent distance control and accuracy. With small, usually narrow greens, the par threes at Belvedere usually are the most difficult greens to hit in regulation. However, if you miss in the right locations you will most often find an opportunity to make a good score. Seven par fours; with well conditioned winding fairways, placement off the tee is of the utmost importance. A well hit tee shot will provide a mid to short iron into an elevated green for the average player. For the long knockers, cut a couple of doglegs and you will find yourself inside 100 yards to the hole, although the landing areas at those points narrow just a bit, making it a definite risk vs. reward situation on the tee box. Five par fives; measuring an average length of 489 yards from the Championship tees, none of these holes require an abundance of distance off the tee. You will find these fairways to be slightly wider, with hazards running the length of the hole on all but two of the par fives. Long drives will afford you definite chances to reach these holes in two shots. An accurate, conservative player will also find real scoring opportunities on these holes.